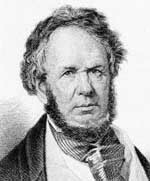 Henry Rowe Schoolcraft (March 28, 1793 – December 10, 1864) was an American geographer, geologist, and ethnologist, noted for his early studies of Native American cultures, as well as for his 1832 expedition to the source of the Mississippi River. He is also noted for his major six-volume study of Native Americans published in the 1850s. Photo of Henry Schoolcraft in 1855. He served as United States Indian agent in Michigan for a period beginning in 1822. There he married Jane Johnston, mixed-race daughter of a prominent Scotch-Irish fur trader and Ojibwa mother, herself a daughter of Ojibwa war chief Waubojeeg. Jane taught Schoolcraft the Ojibwe language and much about her maternal culture. They had several children, two of whom survived past childhood. She is now recognized as the first Native American literary writer in the United States. In 1846 the widower Schoolcraft was commissioned by Congress for a major study, known as Indian Tribes of the United States, which was published in six volumes from 1851 to 1857. He married again in 1847, to Mary Howard, from a slaveholding family in South Carolina. In 1860 she published the bestselling The Black Gauntlet, an anti-Uncle Tom's Cabin novel. Schoolcraft was born in 1793 in Guilderland, Albany County, New York, the son of Lawrence Schoolcraft and Margaret-Anne Barbara (née Rowe) Schoolcraft. He entered Union College at age 15 and later attended Middlebury College. He was especially interested in geology and mineralogy. His father was a glassmaker, and Schoolcraft initially studied and worked in the same industry. He wrote his first paper on the topic, Vitreology (1817). After working in several glass works in New York, Vermont and New Hampshire, the young Schoolcraft left the family business at age 25 to explore the western frontier. From November 18 to February 1819, Schoolcraft and his companion Levi Pettibone made an expedition from Potosi, Missouri, to what is now Springfield. They traveled further down the White River into Arkansas, making a survey of the geography, geology, and mineralogy of the area. Schoolcraft published this study in A View of the Lead Mines of Missouri (1819). In this book he correctly identified the potential for lead deposits in the region; Missouri eventually became the number one lead-producing state. (French colonists had previously developed a lead mine outside St. Louis in the 18th century.) He also published Journal of a Tour into the Interior of Missouri and Arkansaw (1821), the first written account of a European-American exploration of the Ozarks. This expedition and his resulting publications brought Schoolcraft to the attention of the Secretary of War, John C. Calhoun, who considered him "a man of industry, ambition, and insatiable curiosity." Calhoun recommended him to the Michigan Territorial Governor, Lewis Cass, for a position on an expedition led by Cass to explore the wilderness region of Lake Superior and the lands west to the Mississippi River. Beginning in the spring of 1820, Schoolcraft served as a geologist on the Lewis Cass expedition. Beginning in Detroit, they traveled nearly 2,000 miles (3,200 km) along Lake Huron and Lake Superior, west to the Mississippi River, down the river to present-day Iowa, and then returning to Detroit after tracing the shores of Lake Michigan. The expedition was intended to establish the source of the Mississippi River, and in part to settle the question of an undetermined boundary between the United States and British Canada. The expedition traveled as far upstream as Upper Red Cedar Lake in present-day Minnesota. Since low water precluded navigating farther upstream, the lake was designated the river's headwaters, and renamed in honor of Cass. (Schoolcraft noted, however, that locals informed the expedition that it was possible to navigate by canoe farther upstream earlier in the year, when water levels were higher.) Schoolcraft's account of the expedition was published as A Narrative Journal of Travels Through the Northwestern Regions...to the Sources of the Mississippi River (1821). In 1821 he was a member of another government expedition that traveled through Illinois, Indiana and Ohio. In 1832, he led a second expedition to the headwaters of the Mississippi River. Arriving a month earlier than had the 1820 expedition, he was able to take advantage of higher water to navigate to Lake Itasca. Schoolcraft met his first wife Jane Johnston soon after being assigned in 1822 to Sault Ste. Marie, Michigan, as the first US Indian agent in the region. Two years before, the government had built Fort Brady and wanted to establish an official presence to forestall any renewed British threat following the War of 1812. The government tried to ensure against British agitation of the Ojibwa. Jane Johnston was the eldest daughter of John Johnston, a prominent Scots-Irish fur trader, and his wife Ozhaguscodaywayquay (Susan Johnston), daughter of a leading Ojibwe chief, Waubojeeg, and his wife. Both of the Johnstons were of high status; they had eight children together, and their cultured, wealthy family was well known in the area. Jane was also known as Bamewawagezhikaquay (Woman of the Sound the Stars Make Rushing Through the Sky). Her knowledge of the Ojibwe language and culture, which she shared with Schoolcraft, formed in part the source material for Longfellow's epic poem The Song of Hiawatha. William Henry (June 1824 – March 1827) died of croup at nearly three. Jane Schoolcraft wrote poems expressing her grief about his loss. Jane Susan Ann (October 14, 1827 – November 25, 1892, Richmond, Virginia), called Janee. John Johnston (October 2, 1829 – April 24, 1864), served in the Civil War but was wounded at the Battle of Gettysburg and disabled. He died at the age of 34 in Elmira, New York. The Schoolcrafts sent Janee and John to a boarding school in Detroit for part of their education. Janee at 11 could handle the transition, but John at nine had a more difficult time and missed his parents. The Schoolcrafts had a literary marriage, producing a family magazine. They included their own poetry in letters to each other through the years. Jane suffered from frequent illnesses. She died in 1842, while visiting a sister in Canada, and was buried at St. John's Anglican Church, Ancaster, Ontario. On January 12, 1847, after moving to Washington, DC, Schoolcraft married again, at age 53, to Mary Howard (died March 12, 1878). She was a southerner and slaveholder, from an elite planter family of the Beaufort district of South Carolina. Her support of slavery and opposition to mixed-race unions created strains in her relationship with the Schoolcraft children. They became alienated from both her and their father. After Schoolcraft's hands became paralyzed in 1848 from a rheumatic condition, Mary devoted much of her attention to caring for him and helping him complete his massive study of American Indians, which had been commissioned by Congress in 1846. In 1860, she published the novel The Black Gauntlet: A Tale of Plantation Life in South Carolina (which she said her husband had encouraged). One of many pro-slavery books published in response to Harriet Beecher Stowe's bestselling Uncle Tom's Cabin, such defenses of slavery, published in the decade before the American Civil War, became known as the anti-Tom genre. Hers became a best-seller, although not on the scale of Stowe's. Schoolcraft began his ethnological research in 1822 during his appointment as US Indian agent at Sault Ste. Marie, Michigan. He had responsibility for tribes in what is now northern Michigan, Wisconsin, and Minnesota. From his wife Jane Johnston, Schoolcraft learned the Ojibwe language, as well as much of the lore of the tribe and its culture. Schoolcraft created The Muzzeniegun, or Literary Voyager, a family magazine which he and Jane produced in the winter of 1826–1827 and circulated among friends ("muzzeniegun" being Ojibwe for book). It contained mostly his own writings, although he did include a few pieces from his wife and a few other locals. Although they produced only single issues, each was distributed widely to residents in Sault Ste. Marie, then to Schoolcraft's friends in Detroit, New York, and other eastern cities. Jane Johnston Schoolcraft used the pen names of "Rosa" and Leelinau as personae to write about different aspects of Indian culture. Schoolcraft was elected to the legislature of the Michigan Territory, where he served from 1828 to 1832. In 1832, he traveled again to the upper reaches of the Mississippi to settle continuing troubles between the Ojibwe and Dakota (Sioux) nations. He worked to talk to as many Native American leaders as possible to maintain the peace. He was also provided with a surgeon and given instructions to begin vaccinating Indians against smallpox. He determined that smallpox had been unknown among the Ojibwe before the return in 1750 of a war party that had contact with Europeans on the East Coast. They had gone to Montreal to assist the French against the British in the French and Indian War (the North American front of the Seven Years' War). During the voyage, Schoolcraft took the opportunity to explore the region, making the first accurate map of the Lake District around western Lake Superior. He discovered the true headwaters of the Mississippi River in Lake Itasca, a name which he coined from the Latin words veritas meaning 'truth' and caput meaning 'head'. The nearby Schoolcraft River, the first major tributary of the Mississippi, was later named in his honor. United States newspapers widely covered this expedition. Schoolcraft followed up with a personal account of the discovery with his book, Narrative of an Expedition Through the Upper Mississippi River to Itasca Lake (1834). After his territory for Indian Affairs was greatly increased in 1833, Schoolcraft and his wife Jane moved to Mackinac Island, the new headquarters of his administration. In 1836, he was instrumental in settling land disputes with the Ojibwe. He worked with them to accomplish the Treaty of Washington (1836), by which they ceded to the United States a vast territory of more than 13 million acres (53,000 km²), worth many millions of dollars. He believed that the Ojibwe would be better off learning to farm and giving up their wide hunting lands. The government agreed to pay subsidies and provide supplies while the Ojibwe made a transition to a new way of living, but its provision of the promised subsidies was often late and underfunded. The Ojibwe suffered as a result. In 1838 pursuant to the terms of the treaty, Schoolcraft oversaw the construction of the Indian Dormitory on Mackinac Island. The building is listed on the National Register of Historic Places. It provided temporary housing to the Ojibwe who came to Mackinac Island to receive annuities during their transition to what was envisioned by the US government as a more settled way of life. In 1839 Schoolcraft was appointed Superintendent of Indian Affairs in the Northern Department. He began a series of Native American studies later published as the Algic Researches (2 vols., 1839). These included his collection of Native American stories and legends, many of which his wife Jane Johnston Schoolcraft told him or translated for him from her culture. While in Michigan, Schoolcraft became a member of the Board of Regents of the University of Michigan in its early years. In this position he helped establish the state university's financial organization. Schoolcraft founded and contributed to the first United States journal on public education, The Journal of Education. He also published The Souvenir of the Lakes, the first literary magazine in Michigan. Schoolcraft named many of Michigan's counties and locations within the former Michigan Territory. He named Leelanau County, Michigan after his wife's pen name of "Leelinau". For those counties established in 1840, he often created faux Indian names. In names such as Alcona, Algoma, Allegan, Alpena, Arenac, Iosco, Kalkaska, Leelanau, Lenawee, Oscoda and Tuscola, for example, Schoolcraft combined words and syllables from Native American languages with words and syllables from Latin and Arabic. Lake Itasca, the source lake of the Mississippi River, is another example of his faux Indian names. When the Whig Party came to power in 1841 with the election of William Henry Harrison, Schoolcraft lost his political position as Indian agent. He and Jane moved to New York. She died the next year during a visit with a sister in Canada, while Schoolcraft was traveling in Europe. He continued to write about Native Americans. In 1846 Congress commissioned him to develop a comprehensive reference work on American Indian tribes. Schoolcraft traveled to England to request the services of George Catlin to illustrate his proposed work, as the latter was widely regarded as the premier illustrator of Indian life. Schoolcraft was deeply disappointed when Catlin refused. Schoolcraft later engaged the artist Seth Eastman, a career Army officer, as illustrator. An Army brigadier general, Eastman was renowned for his paintings of Native American peoples. He had two extended assignments at Fort Snelling in present-day Minnesota, the second time as commander of the fort, and had closely studied, drawn and painted the people of the Indian cultures of the Great Plains. After his death, Schoolcraft's second wife Mary donated over 200 books from his library, which had been published in 35 different Native American languages, to the Boston Athenæum. Schoolcraft and Mary were each buried in the Congressional Cemetery in Washington, DC. His papers are archived in the Library of Congress. Historical and Statistical Information respecting the History, Condition, and Prospects of the Indian Tribes of the United States, with illustrations by Capt. Seth Eastman, published by authority of congress, which appropriated nearly $30,000 a volume for the purpose (6 vols., 1851-7) He had collected material for two additional volumes, but the government suddenly suspended the publication of the work. The Myth of Hiawatha, and other Oral Legends (1856). Mentor L. Williams, ed., Narrative Journal of travels Through the Northwestern Regions of the United States Extending from Detroit through the Great Chain of the American Lakes to the Sources of the Mississippi River in the year 1820, East Lansing, Michigan: The Michigan State College Press, 1953. The Indian Fairy-Book, from Original Legends (New York, 1855), was compiled from notes that he furnished to the editor, Cornelius Mathews. Elected a member of the American Antiquarian Society in 1821. Schoolcraft Township in Houghton County, Michigan. Schoolcraft Township in Kalamazoo County, Michigan. Schoolcraft Township in Hubbard County, Minnesota. The Village of Schoolcraft in Kalamazoo County, Michigan. Schoolcraft River and Schoolcraft Lake in Minnesota. Schoolcraft Island in Lake Itasca, Minnesota. U.S. Route 65 in the vicinity of Springfield, Missouri is named the Schoolcraft Freeway. Schoolcraft Roads are located in Marquette and Wayne Counties, Michigan, and in Dakota County, Minnesota. Schoolcraft College in Livonia, Michigan is named in his honor. Henry R. Schoolcraft Elementary School in Waterford, Michigan is named in his honor. Henry's Food Court on the Schoolcraft College campus in Livonia, Michigan is founded in his name. Schoolcraft State Park in Minnesota was established to commemorate his expeditions in 1820 and 1832. The Liberty ship SS Henry R. Schoolcraft was launched in 1943. ^ David J. Krause, The Making of a Mining District: Keweenaw Native Copper 1500-1870 (1992), p. 68. ^ State of Michigan. "History, Arts and Libraries: Michigan Counties". Archived from the original on March 13, 2009. Retrieved February 13, 2007. ^ Roberts, Rebecca Boggs; Sandra K. Schmidt (2012). Historic Congressional Cemetery, Images of America. Arcadia Publishing. p. 59. ISBN 9780738592244. Lovell, Linda. "Henry Rowe Schoolcraft (1793–1864)", The Encyclopedia of Arkansas History and Culture, Central Arkansas Library System, Accessed on January 21, 2007. Merrill, George P. (1924) The First One Hundred Years of American Geology. Reprinted by Hafner Publishing Co., 1969. Savage, Henry Jr. (1979) Discovering America 1700–1875. Harper & Row, pp. 229–233. Toomey, Mary J. "Schoolcraft College — The Name and its Significance", Schoolcraft College, Accessed on February 13, 2007. "Henry Rowe Schoolcraft", The International magazine of literature, art, and science, Volume 3, Issue 3, June 1851; American Memory, Library of Congress. Bremer, Richard G., Indian Agent & Wilderness Scholar: The Life of Henry Rowe Schoolcraft, Clarke Historical Library, Central Michigan University, 1987, ISBN 0-916699-13-7. Wilson, J. G.; Fiske, J., eds. (1900). "Schoolcraft, Lawrence" . Appletons' Cyclopædia of American Biography. New York: D. Appleton. Wikimedia Commons has media related to Henry Schoolcraft. Boston Athenæum: Schoolcraft Collection of Books in Native American Languages. Digital Collection.